Recently, I came across a interactive Lord of the Rings Map of Middle Earth. I know lots of schools and students are reading this so I thought I'd do a brief post on this. This is a great place to find facts about the interesting locations in Middle Earth as well as being able to zoom in/out, click on items, and find out other interesting facts (i.e. age, population, life expectancy, etc.) Also, there's an excellent timeline feature that people can use to find out info on all 5 books (Hobbit/Simarillion included). 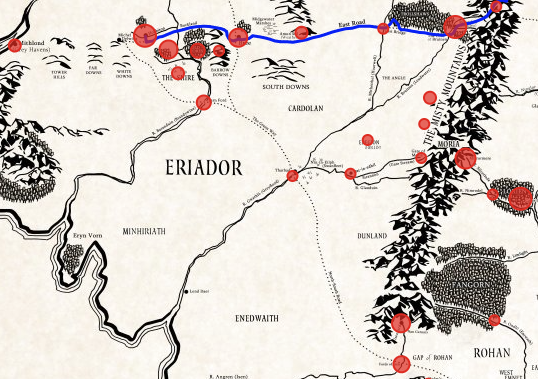 I highly recommend checking out the interactive LOTR Map by clicking here! !